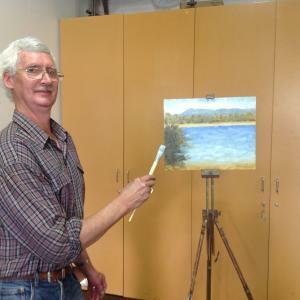 Last Tuesday (28April2015) at Link Trevor came along and showed us how to paint with oil paints. In this photo we see the actual painting he painted from scratch before our eyes. He also brought along other pieces of his work for our enjoyment. Thanks Trev.